This January, 25 youth and young adults came to Kiddie Keepwell Camp in Edison, NJ, not knowing exactly what to expect. Some had been invited by their pastors, others by their youth leaders, some by peers and siblings. Little did they know they were about to walk into one of the most transformative spiritual experiences of their lives. The annual retreat known as Search for Christian Maturity originally began as a Catholic retreat that Rev. Beth Whalley Mitchell went on and was inspired by. She sought to use the retreat in her Methodist context and was given permission to do so by one of the retreat’s priests. For over 30 years Search has been impacting the lives of countless youth and young adults, some of whom have gone on to answer their own call to ministry. Several years ago, Rev. Dianna Stone and Rev. Todd Lattig, along with their director Michelle Radford, became Search’s new leaders as passion for the retreat expanded. 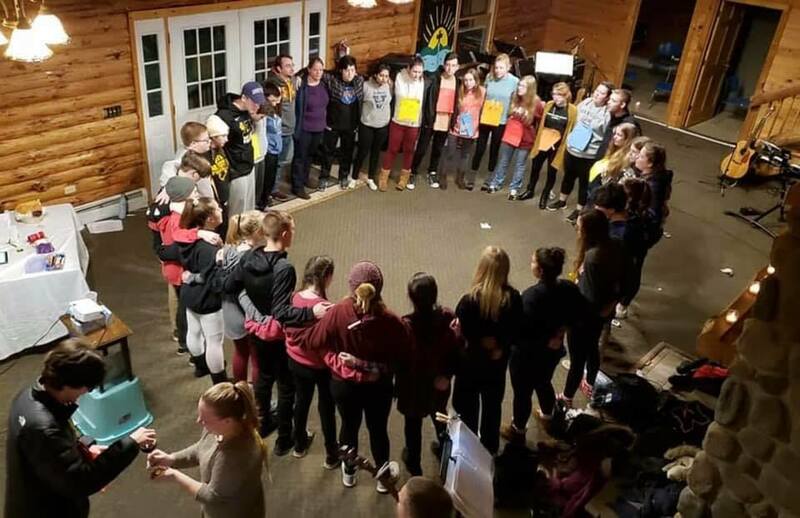 Under the direction of Lattig and Stone, Search is led by 15-20 youth and young adults who have experienced the retreat, have been transformed by it, and want to share the experience with others. The retreat is held on the first full weekend of January following New Year’s Day, from Friday through Sunday afternoon. For more information on the Search Christian Maturity Retreat, click here.